During your stay at Lakeview Motel, You'll be able to enjoy Lake Wanaka’s Lifestyle Reserve, highlighting the quality of experience on offer in Lake Wanaka. In the same way wildlife reserves and National Parks have become holiday destinations, the concept of a lifestyle reserve acts as a draw-card for those wanting to experience the ultimate Kiwi lifestyle. It combines spectacular scenery with a genuine sense of community, where everyone is passionate about sharing their way of life, environment and what they do. Mountain biking is hugely popular in Wanaka and there are some great trails to choose from. Deans Bank (featured in the video above) is singletrack heaven with switchback climbs and HUGE sweeping berms. Sticky forest has a great network of trails running through an old Pine plantation, and there are numerous family friendly trails around the lake and alongside the Clutha and Hawea rivers within easy reach. If back-country is your thing, you can lose yourself on the trail out to the Minaret Hut from West Wanaka, or check in at the DOC centre to find out about other MTB friendly DOC trails. The course overlooks Lake Wanaka, providing a perfect venue for a fun, low-impact, couple of hours of outdoor activity. The course has 18 holes, ranging from 42m to 112m in length, mostly par 3 with a few par 4s too. The landscape is predominantly rolling grass hills, surrounded by high mountains with lake views. A number of holes in the middle of the course work their way through some well-spaced trees, creating fun obstacles to navigate around. This small classic movie theatre located in Wanaka is a real find. Comfy old sofas, an old Morris Minor, a cafe & bar serving delicious meals before, during or after the movie. Homemade icecream, world-famous hot cookies fresh every intermission & a warm welcome from the friendly staff & Patron. Loads of guides list the cinema as a "must do" & it is truly a memorable movie experience! "Halfway through, the film stopped & we had a short interval. Everyone went outside to the adjoining cafe & got freshly baked cookies (still warm), homemade ice cream or a beer & then settled back into their chairs. This is how all cinemas should be. It was more like being round someone's house." UK Guardian. New Zealand’s National Transport & Toy Museum. This fascinating collection houses one of the largest private collections in the world. Skiers and Snowboarders of all ages and abilities will enjoy this fun and friendly mountain. Come and explore it all – wide open beginner trails, pristine groomers, fun freeride terrain and world class parks and pipes. Discover us high in the Southern Alps between Queenstown and Wanaka. Over four remarkable basins (550ha), Treble Cone is the largest ski area in Queenstown and Wanaka, offing a massive diversity of terrain. Undeniably something for everyone. 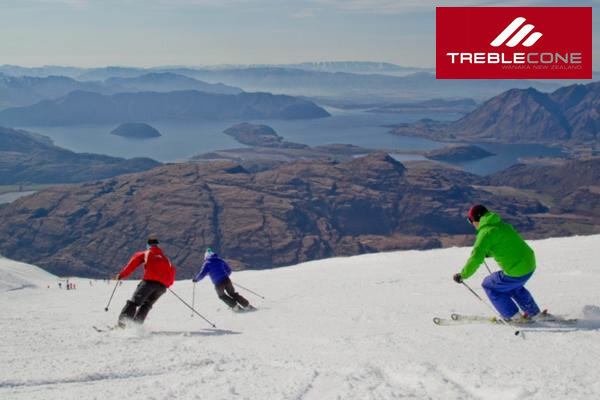 Treble Cone Ski Resort is famous for the long un-crowded groomed slopes accessed from the Saddle Basin and Home Basin chairlift, legendary off-piste terrain of Motatapu Chutes and Saddle Basin and unrivalled views appreciated from every aspect. This is one large ski area you have to see to believe. 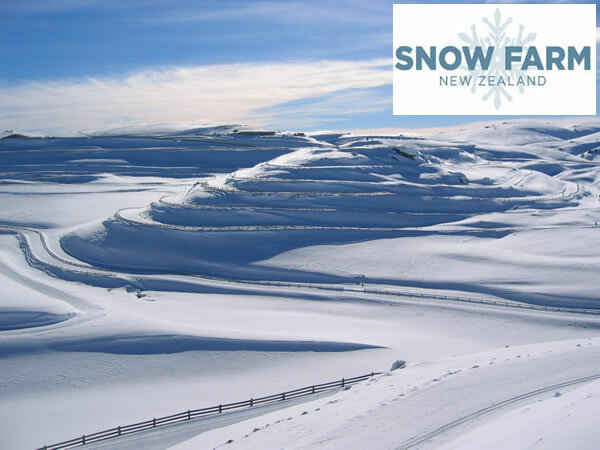 Welcome to the Snow Farm Lodge, located in the heart of New Zealand's Southern Alps - the Southern Hemisphere's premier Cross Country skiing destination! COME AND ENJOY THE TRANQUILITY OF OUR MOUNTAIN LODGE Stay the night at our mountain lodge and enjoy the freshly groomed first tracks the next morning! Get your skiing in before the crowds arrive and the temperature heats up! Check out the Lake Wanaka NZ Website for more information about local activities.